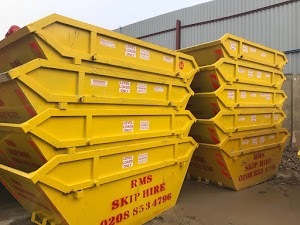 RMS Skip Hire is one of the most sought-after skips hire services in Bromley. Our skip hire services are designed to meet the requirements of residential, commercial and industrial projects. We strive to offer the fastest skip hire solutions to accomplish your waste management needs. What sets us apart is our ability to offer both same day and next day skip hire services at competitive rates. We are also committed to providing skip hire permits to our clients, in case the skips need to be placed on public roads. Our eco-friendly skip hire solutions allow you to save the environment from pollution. Our competent skip hire and waste management professionals make it easier for you to choose the right size skips for your project if you need help. Whether you need skips for a small home renovation project or a large-scale construction and demolition project, we are here to help you. So, if you are from Bromley you can reap the benefits of our skip hire services for both your domestic and commercial waste disposal needs.